What’s New in Foundation 6? As much as I love building systems from the ground up, controlling every part of the design and development, sometimes it’s faster, better, and easier to let a framework handle control of the basics so that you can focus on the fun stuff. CSS frameworks have been around for a while and they aim to provide a solid foundation that you can implement in your projects to take care of the basics (resets, grid layouts, media elements, typography, etc). While there are heaps of frameworks out there, the two big guns Bootstrap and Zurb Foundation have been battling it out for a while, improving, refining, and updating their frameworks with each release. The 6th version of the Foundation framework is now out and today I’m going to run through the most important parts and see what has changed and what’s been introduced. What’s In It For Me with Foundation 6? Unlike previous versions that focused on an incremental upgrades, Foundation 6 brings with it a heavy rework of the framework. Zurb has pretty much gone back to the drawing board and used all of their skills, feedback from the community, and advances in browser tech to redevelop Foundation. The framework has been given a big overhaul with multiple components being pared back to provide a base structure only. Most elements have been streamlined to make them faster, smaller, easier to use, and overall better than before. The core mantra of this version seems to be getting things back to basics. Along with the changes to the existing components come cool new features such as the Flex Grid, Motion UI, Yeti Launch, and additional building blocks and templates. One of the main complaints I’ve heard from people when they talk about frameworks is their size. They are worried about download times and bloat weighing down their sites. Overall it’s a valid concern with several frameworks wasting up to 90% of their assets. With this latest version, Zurb have been able to significantly reduce the overall size of their system, dropping over 50% in comparison to Foundation 5. Redefining several larger components into smaller modular components (such as the navigation menu). Reducing specificity. Instead of having deeply nested selectors and styles, the framework will now lightly handle the styling (letting you more easily customize your site). Simplifying Sass variables and mixins to create fewer options (its purpose is to be a framework that you customize yourself). Most of the components have been changed in some form to make it more streamlined and less bloated. A really great feature that’s finally made its way to production is the new Motion UI library. In essence this library is a series of transitions and animations that Foundation uses to power several of their own components (such as the Reveal, Toggler, and Orbit elements). Motion UI actually came from Zurb’s Foundation for Apps branch, but has found its way into Foundation as an optional (but highly recommended) library. Zurb knows that having movement is important and that when used correctly can give your site that extra bit of interactivity and re-activity. You can leverage its multiple options to control the speed of animations, easing effects, and a range of actions such as sliding, fading, scaling, etc. Using movement subtly can bring a feeling of depth to your site and enhance your user experience. Motion UI is optional so you need to select that when downloading your custom package. If you have the Sass version it should be as simple as making sure it’s included in your app.scss file. One of the easiest ways to use the library is just to leverage the pre-built classes. It’s as simple as adding your desired transition (for example, scale-in-up). Motion UI will do the rest. If you’re feeling adventurous, you can build your own transitions by using the various Sass mixins and customizing them. The documentation for transitions outlines what you need to do (basically you include the mixin and define your options to create your effect). You can also use the library to create custom animations and effects, using various Sass mixins to create your own customized effects. For example, you might want to make something slide in, shake, and then bounce. You can do this by creating your own animation. View the documentation to see how this all pieces together. You might be asking, What’s Yeti Launch? Basically it’s a companion app that you can run to remove some of the complexity of installing and configuring Foundation via the command line. Not only can you build sites using this, but also web apps, and email templates using Foundation’s sister frameworks, making it a one-stop-shop for your development. Another cool feature Yeti offers is that when creating your new project, it offers you the choice of using either a standard Sass-powered Foundation setup or their own development framework. This is the same setup that Zurb uses in their projects so it should prove interesting how it’s adopted by the community. If Yeti Launch sounds like something you’re keen on trying, then you should download the app from their website. One small caveat is that if you’re on Windows, you’re out of luck, they are still in the process of getting their Windows app sorted. It’s hard to complain since they’ve provided so many new and refined tools in this update, however it would be nice for Windows users to be able to take Yeti for a spin. Another new service that Zurb is offering is the ability to push your development site to an online repository and then allow members of your team to access it to provide feedback. This service is called Notable Code and offers a unique way of handling project feedback and collaboration. Notable’s core concept consists of a few easy steps: Upload, invite, collaborate. Notable lets you push your development site to an online repository, using either their Yeti Launch export (OSX only), export via the Foundation command line interface (CLI), or zip your site up and upload it. You can also invite people to view your project online. Each team member will get a secure URL to your site and also will be notified when you update the project. A big part of Notable’s appeal will be that users will be able to access your prototype on any device they choose and then be able to provide annotations on your design. Another feature is that Notable will let users change their screen size so they can view the site at different breakpoints. Users will be able to make annotations on each device size so you can easily get feedback on the responsiveness of your site. Sometimes accessibility can get overlooked during our development (in our haste to get it all sorted we forget that the web should be for everyone). Zurb have focused on accessibility during their reconstruction of several of their key components. With Foundation 6, all of the components work with accessibility in mind. The site documentation outlines several useful resources about accessibility and the sample snippets across the site are all ARIA enabled (with appropriate roles and attributes). This focus on accessibility should help you create sites that just about anyone can enjoy. Zurb offers a series of free complete code examples that you can download from their website. You can download either Templates (full websites) or Building Blocks (components) that you can drop directly into a project. While these elements were offered in older version of Foundation (such as Foundation 5), these have been updated to use the updated framework so they will be smaller, easier to customize and overall better than ever. Templates are a quick way for you to start a new project. They contain a basic layout with common elements like sliders, navigation bars, social media icons, etc. You can either pick them apart and take features that you like or use them as your base and customize. Two interesting templates you might want to look at are the News/Magazine and Real Estate/Travel templates. 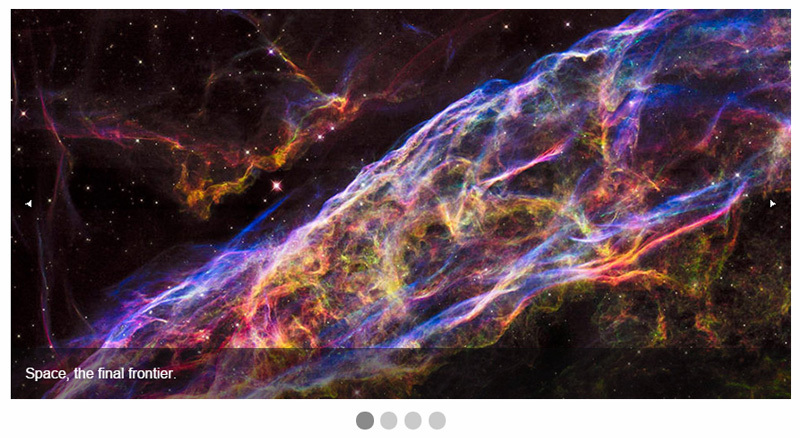 They are both fully responsive and utilize the latest menus and components. Building blocks are used to showcase particular components such as menus, sliders, scrolling regions, and other fancy UI things. There are heaps of various examples on their repository, but they are not all based on the updated Foundation 6. Zurb are slowly releasing new ones based on their updated components but several really cool ones exist such as the Top Menu and Login Form blocks. One way Foundation managed to make their code base smaller was to pull their plugins out of the universal functions and make them into utilities. Utilities are now publicly exposed, meaning that you can use them when building your interactivity. There are a heap of these helper Utilities that you can leverage to speed up your development. You should take a moment to have a look through them to see which ones interest you. I’ve outlined a few of the more useful ones below. The media query utility is especially useful in combination with the updated breakpoint change settings. The main benefit of this utility is that it gives you an easy way to interact with breakpoints. get – Returns the minimum pixel value for the chosen breakpoint. atLeast – checks to see if the current breakpoint is at least as big as a passed in breakpoint (e.g small or medium). We can also get the current breakpoint name by getting the current property. This will return the name such as small or medium. We can also hook onto the event that’s called when we switch to another breakpoint. The changed.zf.mediaquery event provides us with the event itself, the new size we moved to and the old size we moved away from. Overall this is a great utility to help you interact with your responsive design elements and should help you get the most out of your breakpoints. This utility library lets you access timers and triggers for actions. The Timer object lets you run simple timers. These timers act like setInterval except they give you more control (such as being able to pause them and resume). Using the timer function means you can start, pause, and continue to control the experience. This is used internally by the Orbit slider. // called once all gallery images are loaded. This utility proves useful mainly for knowing when your elements are loaded and reacting accordingly. The touch utility is exactly what it sounds like, a quick and easy way to add touch interactivity for your elements. As you can see, it’s pretty simple to bind basic touch controls for processing by using this utility. Other components such as the Orbit Carousel also use this so it should work reliably. In Foundation 5, the Orbit Slider was a complex component that let users create fully responsive, interactive image, video, and content sliders. Orbit had been in Foundation for a long time and over the years had been ballooning out with dozens of configuration options, leading to a whole lot of work maintaining it. Zurb announced that for Foundation 6 they were discontinuing Orbit, which, as you can imagine, upset many people who loved the flexibility it provided. However, instead of removing it entirely, Foundation 6 re-purposed Orbit into a lightweight, simple slider that, while basic, still offered great customization. It’s now more of a wire-framing tool instead of a comprehensive slider. The benefit of this is that you keep all of your styling together, instead of hunting around your files where what styles relate to each profile. It’s all kept together for you. The Breakpoint mixin lets you pass in a wide range of different values that will affect what will be styled. the device profile sizes you want such as small, medium, large, and also optionally additional modifiers such as down, up, or only (to specify that you want to select breakpoint sizes smaller, greater, or exactly this size). If you’re feeling particularly fussy about your design, you can even supply landscape, portrait, or retina options as well. Since we’re talking about breakpoints, with Foundation 6 you can specify what size profiles will be used for your site by customizing the $breakpoints variable inside your _settings.scss file. This file is essentially the configuration point for the Sass version of Foundation (it uses these settings to build the generated CSS). Inside here you can redefine your breakpoint values or even include new ones. As you can see, it’s easy to add a new size (in this case I’ve added smedium to target devices at the 420px range). Even though you have defined your sizes here, they won’t output any CSS until you also add them to the $breakpoint-classes() variable defined just below in the settings file. By default, only the small, medium, and large profiles are used so you need to add your custom ones in here to get it all rolling. The more sizes you define, the more CSS you will generate so be mindful about including heaps of new sizes in your site. A common complaint about websites built with popular frameworks is that ‘they all look the same’. Zurb has taken note of feedback in this matter and drastically pulled back their styles. Beforehand, where the base foundation would provide you with a heap of default styles and design elements, the updated styled in Foundation 6 leave with you more of a wireframe design instead of a final product. That’s great news for everyone since this means you will have the support of the base structure and layout of the framework, but still the creative control to easily customise your site. As part of these changes, the specificity of styles has been reduced (because of several changes to Sass mixins and variables) making it even easier to customise the look and feel of your site. While only time will tell how the community will embrace these changes, for now it seems everyone will have to step up their game and branch out from tired old cliche designs. What About Foundation Grids and Menus? Conspicuously missing from this list of new and improved features in Foundation 6 are the grid features and menus. There have been some significant changes in those areas too – which I’m going to cover in detail in the coming weeks. While there are still some lingering small bugs and quirks that appear in the framework (that are being quickly resolved by the Zurb team), overall this release is a strong step in the right direction. Zurb have pulled back from offering dozens of options for each component and instead opted to provide the bare minimum for your structure. While Some developers may be disappointed that components were pared back, thus reducing your options and forcing you to style your own elements, overall the trade-off was that the system works much better, performing more as a framework instead of a complete website solution. And in the process they’ve shed heaps of weight, increased speed, and made Foundation more maintainable. 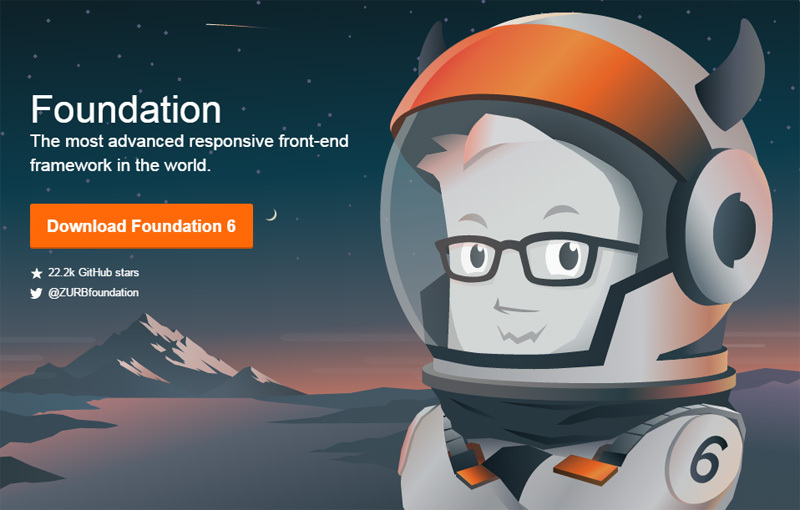 Long story short, Foundation 6 is awesome and you should give it a try!